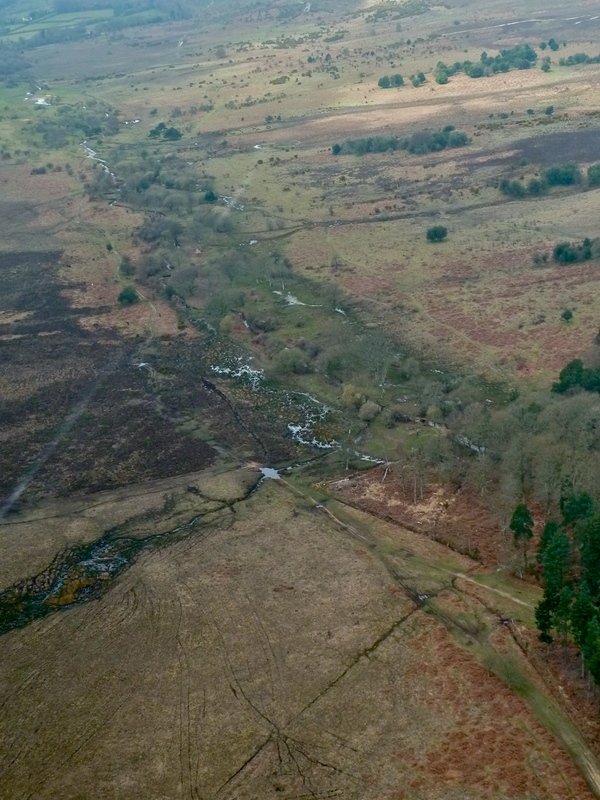 Thanks to a couple of Friends and a light aircraft, we have a nice aerial photo of the upper Latchmore Brook, taken on 7 April (i.e. just before the heavy rain on Easter Monday). You can view this here. It clearly shows the very wet and boggy ground of the upper valley, even after a long period of dry weather, with the stream meandering and bifurcating nicely from the Inclosure (lower RH side) all the way down to the Shade (in the top LH corner). Just like the textbooks say a lowland valley stream is supposed to do ! !